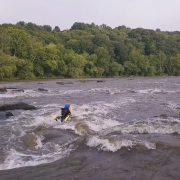 Learning to paddle whitewater can be an extremely frustrating experience. Many people never try paddling on moving water because of the fear of flipping over. Experienced paddlers often have to chase harder and harder rivers to get the same thrill, increasing their risk. 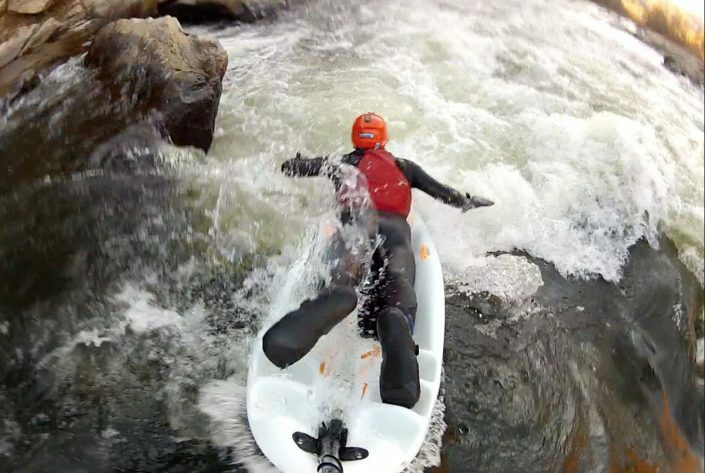 Bellyak allows you to experience the thrill of whitewater much more quickly. There is no cockpit to get stuck in, and the bellyak roll/remount is very easy to learn. For experienced paddlers, paddling prone and using only your hands for propulsion provides a completely new perspective and challenge on ‘easy’ rivers. Increased reward/decreased risk. Having more fun is the name of the game. The Bellyak was designed by a second generation kayak builder, with input from the best in the business. The bellyak takes modern hull design and best in category manufacturing to provide you with the highest quality user experience possible. We make it easy to buy. Purchase from our website, Amazon or a brick and mortar dealer. 99% of the reasons people paddle aren’t for what you see in magazines. It’s not about how big the drop is or first descents… it’s about being out there. It’s about the feeling of camaraderie that occurs from sharing the experience of floating down a river or playing in the surft. Paddling is a group sport… we depend on our friends for shuttle, for safety, for bringing beer to the takeout. It’s about being there, experiencing the freedom of human-powered watercraft. That’s why we developed the Bellyak to create an interface between man and water that enhances the experience of messing about in boats. For neophytes, the Bellyak offers an unmatched level of accessibility with no skirts, straps or sprayskirts. For the old pro, the Bellyak offers an entirely new challenge on familiar waters. For paddlers up to 180 pounds and those looking for the most amount of freestyle fun, we recommend the Play 35. For the most stable ride for all sizes of paddler and for those tackling bigger water and harder drops, we recommend the Play 45. 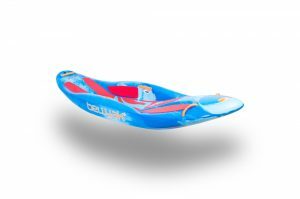 The Play 45 is also our most popular option for rental agencies using the bellyak on moving water, as the larger size is more forgiving for a wide range of paddlers. For those just getting into whitewater, there is no better way to learn the river and its features than on a Bellyak. Paddling prone allows the river become a full body experience by magnifying the subtle nuances of current and eddy lines. Having a low center of gravity and no fear of entrapment allows you to focus on the experience of learning the language of whitewater. Most people are able to master the remount within the first few minutes of getting on a bellyak versus having to spend their first few days on the water mastering the wet exit. 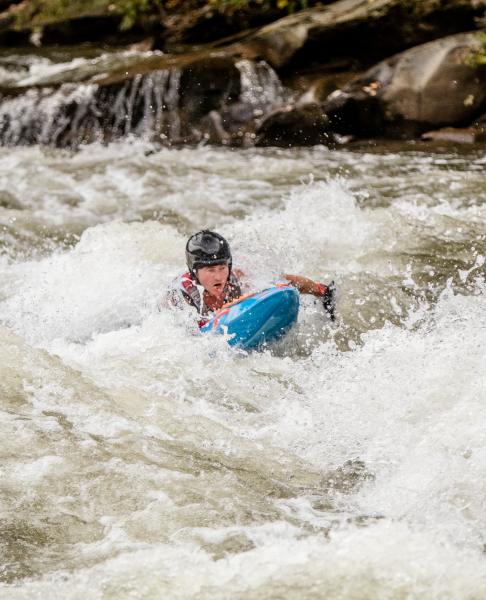 Bellyaks are designed with the best elements of whitewater kayaks, providing unmatched performance, unparalleled access, and world class manufacturing. Bellyak will be your gateway to whitewater bliss. If you are already a whitewater enthusiast, the Bellyak will provide you an entirely new perspective on the places you play. The bellyak will do everything your kayak can do, and more. The high performance planing hull will allow you to catch every eddy and surf every wave. Want to push it even further? The Bellyak can be paddled on your knees, allowing you to stern pivot, splat rocks and generally push the boundaries of verticality. The best part? You can take first timers on a stretch of Class II and each of you can push your own boundaries. No other craft allows the creativity and freedom of the Bellyak.